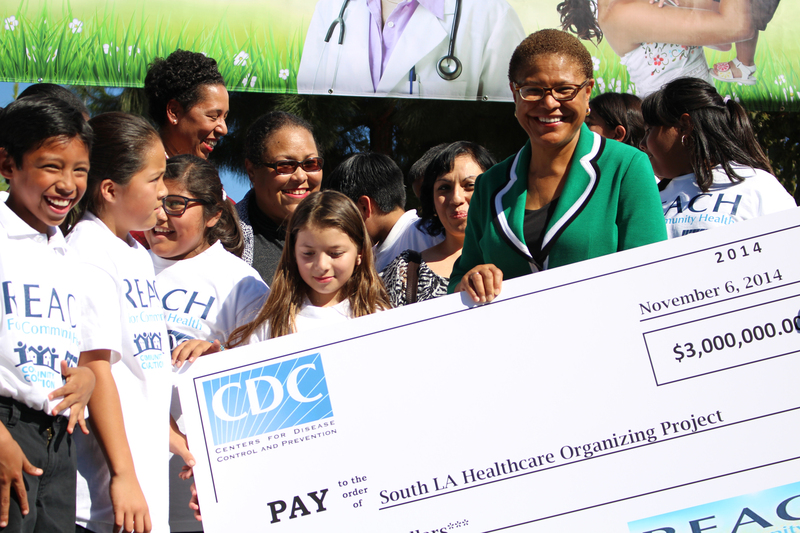 Rep. Karen Bass came to the celebration at King Park to hand over the giant check from the CDC to Community Coalition. Local fifth-grade students also came to kick things off. Community Coalition Director Marqueece Harris-Dawson spoke with Annenberg Radio News about the organization’s plans to divide the windfall grant.